Children have a natural authenticity and freedom, a joyfulness and a playfulness and a natural creativity. By the time they grow up, most of those children have been sacrificed to the gods of "productivity" and good behaviour to the extent that only nostalgia for childhood remains. As Osho says in this book, "It is the child's experience that haunts intelligent people their whole life. They want it again-the same innocence, the same wonder, the same beauty. It is now a faraway echo; it seems as if you have seen it in a dream." And while each generation may vow, with the best of intentions, not to repeat the mistakes of the past, they inevitably find themselves imposing their own inherited limitations on the new generation to come. This book calls for a "children's liberation movement" to break through the patterns and create the opportunity for an entirely new way of relating as human beings. 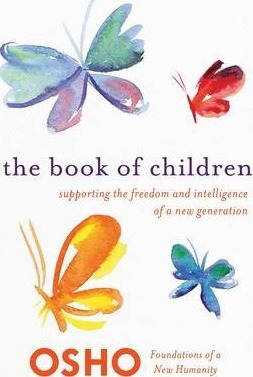 It is a guide for grown-ups in becoming aware of the limitations of their own conditioning as they relate to the children in their lives.And, with that awareness, to be able to know when to nurture and protect and when to get out of the way, so that children can flower into their highest potential and greatest capacity for joy. Osho is one of the most provocative and inspiring spiritual teachers of the twentieth century. He is known for his revolutionary contribution to the science of inner transformation, and the influence of his teachings continues to grow, reaching seekers of all ages in virtually every country of the world.